Exclusively designed tours for the textile enthusiast and their friends. 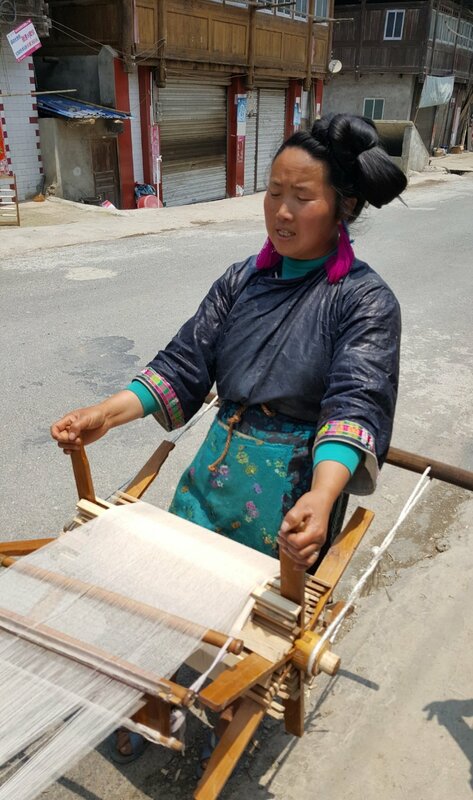 These exclusive very small group tours (between 5 and 9 participants) are focused on understanding local communities, local traditions and to seeing textile traditions closeup. We include visiting the ‘Masters’ of embroidery, weaving and dyeing techniques, as well as many other craft processes which have been undertaken for centuries. Through these contacts, we visit local houses and could end up chatting with the old men under a ‘Dong’ bell tower. We may see family ‘heirloom’ traditional clothing as our hosts open their cupboards to show what the previous generations wore. Local markets and highlights are included showing you the best of the regions we visit. 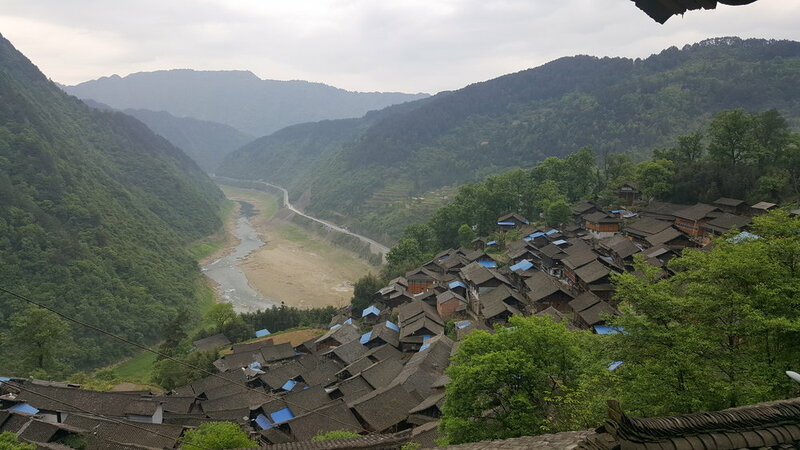 Each year, we arrange a small number of tours for visitors to experience first hand the music, costume and atmosphere of some of the major festivals of the Miao and Dong in Guizhou. These are not festivals over run with other tourists, rather carefully selected villages with few visitors. You will see local sites, markets, festivals, and have the opportunity to see behind the scenes of these celebratory events. .
A common appreciation of textiles and craft bridges the gap between cultures, allowing us to experience an authentic local interation. Our textile tours provide an opportunity to visit remote villages, see the best workshops and collections of local textiles and craft, meeting and spending time with artisans. All our tours are very small groups and suitable for solo travellers. We will see a region rarely visited by tourists. Hill Tribes of Guizhou: Festivals, Traditions and Textiles will be run again in 2019. Please contact us to register an interest in this trip. Sign up for information on further tours as they are announced. Thank you for your interest in Soulful Stitches tours. We hope that you find the information we send to you relevant and useful.